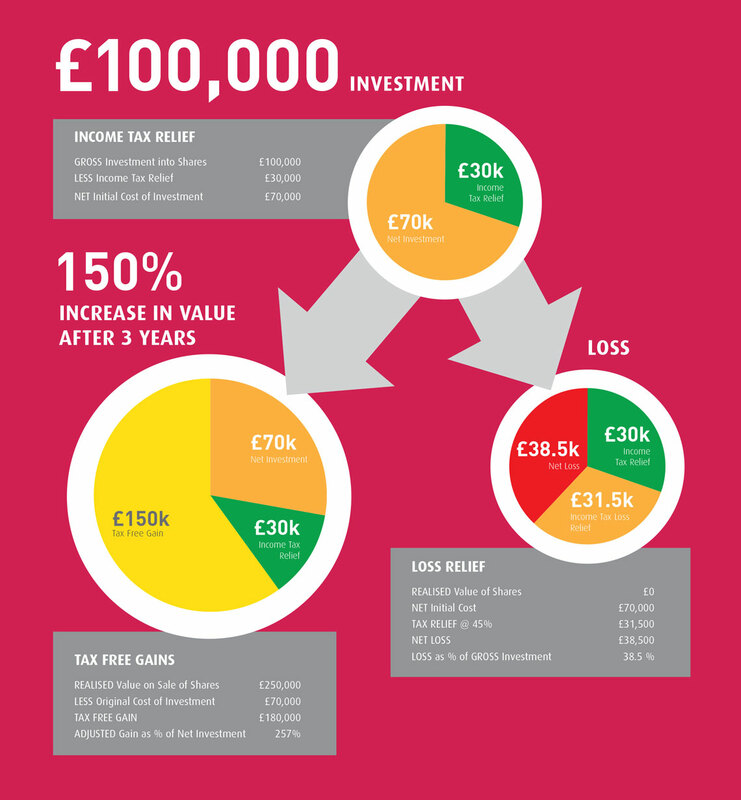 Below we provide a number of working examples based upon a higher rate tax payer investing £100,000 into an EIS investment. 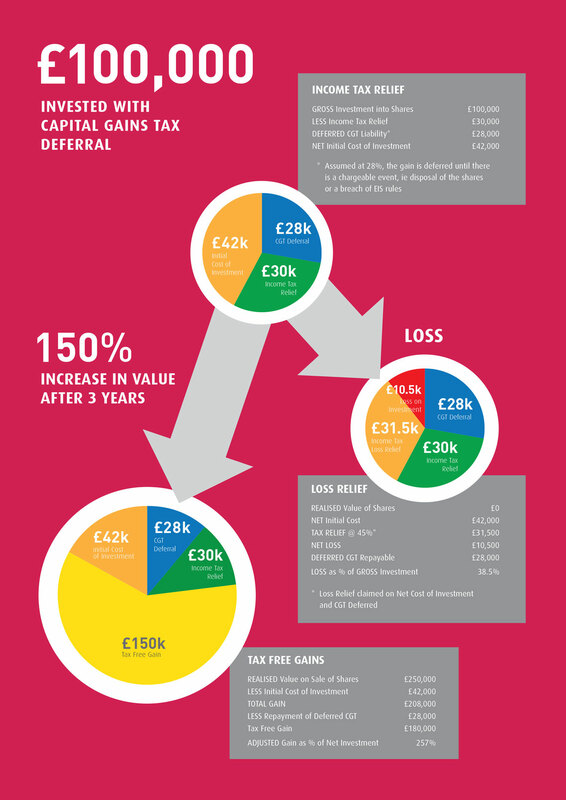 The examples illustrate different scenarios dependent on whether the investor has Capital Gains to defer. In the second example, the investor has realised a gain of £100,000 that is used to invest into the EIS qualifying company. An individual wanting to benefit from investment in EIS/SEIS shares will need to check with their financial adviser. Companies must fulfil certain criteria to be eligible for EIS/SEIS investment, but they will normally confirm they are eligible at the time of the fundraising. Further information on EIS can be found on the Enterprise Investment Scheme Association’s website: www.eisa.org.uk. The statements above are intended only as a general guide to the current position under UK law and H M Revenue & Customs practice and may not apply to certain classes of person (such as dealers in securities). Any person who intends to seek to obtain EIS Relief in respect of his investment, or who is in any doubt as to his tax position, or who is subject to tax in a jurisdiction outside the UK, should consult their professional advisers.